An alternative for DNS Round Robin is low cost KEMP Load Balancers. I think the price for KEMP VLM 100 Load Balancer is a couple of thousand dollars and these are intelligent enough. OK, let me start with the steps to configure DNS Round Robin. 1. 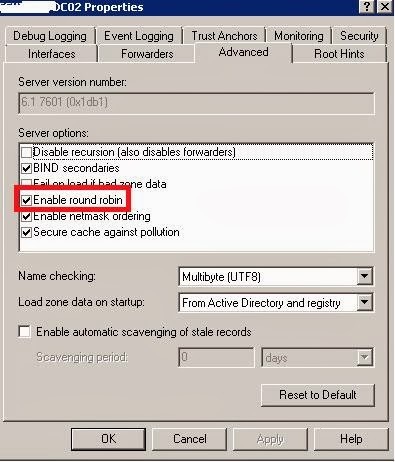 First makesure that your Windows DNS is enabled with Round Robin option,. To do that, go to DNS console, select Domain name- right click for properties. 5. That’s it. You are done with the DNS Round Robin load balancing configuration. 6. To verify, just nslookup from server and makes sure that output is something like below. 8. 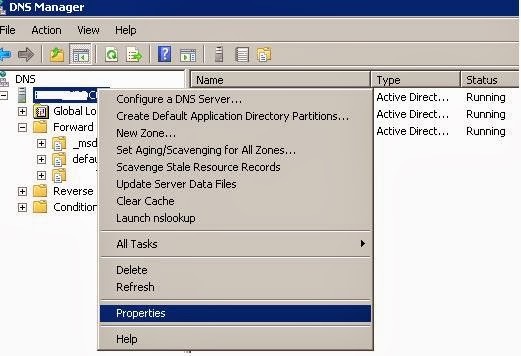 If it’s VMware Horizon Horizon View environment and you need to load balance Connection or security servers, Just start using new DNS round Robin host name on client machines to connect to the View desktops. In this case, it’s Loadbalancer.test.local. Hope this article around DNS load balancing solution helps you.